Those who enjoy cooking can be found in their kitchens, whipping up new recipes and trying out new creations every week. These home cooks have a dearth of non-stick frying pans, steel woks, cast iron skillets, copper pots, and ceramic baking dishes because each dish requires a unique combination of tools. If you’re a dedicated home cook, you know that disasters follow when you try to substitute Pyrex for tempered glass. As such, you’ll need a good set of knives and to keep them from getting dull with the best kitchen knife sharpener around. 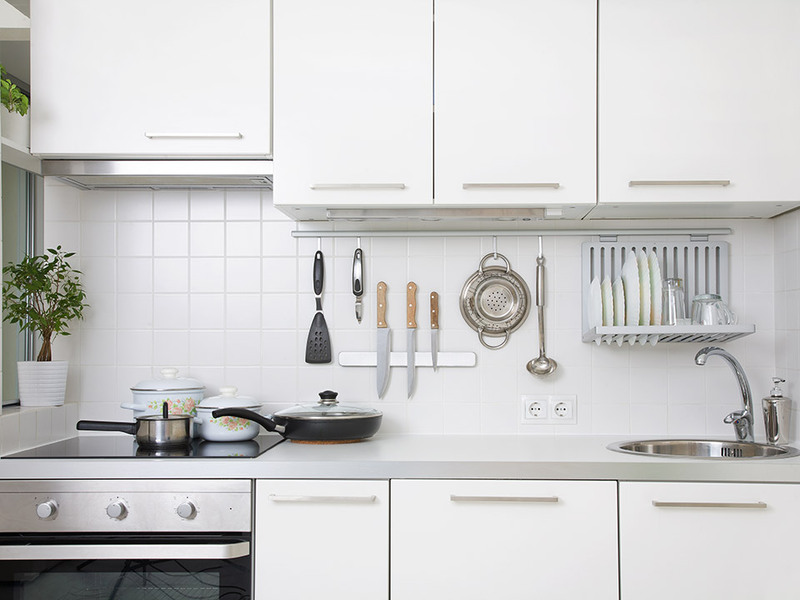 Here is a list of the most critical cooking utensils and equipment you need to keep in your kitchen. You may not need a lid to boil a pot of water you intend to cook pasta in but around 75% of the other dishes you cook will probably require covering. Want to make rice? You’ll need a pot and a lid for that. How about a tender casserole? Pick a non-stick pan with a clear lid so you can see the casserole as it cooks down. Cast iron pans work best for meats like sausage and steak, and if you want to fry up a batch of the best fried chicken on earth, you’ll also need to use a deep frying cast iron pan. When you chop, slice, and dice ingredients for your stews, stir-fry, sauces, pasta, and desserts, you want the components of your dishes to be broken down evenly. Dull kitchen knives can not only make meals lackluster, they can also cause you to get hurt while you’re in the middle of preparing a dish. More effort is required to cut fruits, herbs, meat, and vegetables when your knives are not sharp to the touch. Used a serrated knife on foods like bread so you get an even cut. Large cutting tools like butcher knives can break through bones with ease. Don’t underestimate the power of the slow cooker, even if you consider yourself to be an experienced home cook. Crockpots and slow cookers are simply magical kitchen tools that can be used to prepare entire meals that normally require a lot of attention and time. You can add raw ingredients inside of a crockpot just before you leave your home for work and return right around dinnertime to a flavorful and nutritious meal. Use a traditional crockpot to make meals like spaghetti and meatballs and chili or user a newer version that performs multiple functions to cook up a batch of homemade Greek yogurt. You don’t need to buy every kitchen tool you see to be well prepared to cook anything, but you at least need all of the staples. If you’re inspired by Asian style meals, buy a wok, a rice cooker, and plenty of bamboo utensils. Italian food lovers might need a pasta maker, as well as a pasta arm. Before making a new dish, check the list of kitchen equipment found on the recipe to ensure that you have everything you need to prepare a winning meal.